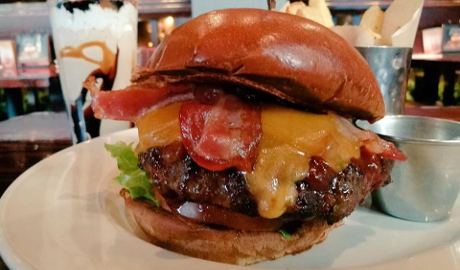 News: Hard Rock Cafe launches its spookiest burger ever this halloween - Try it if you dare! 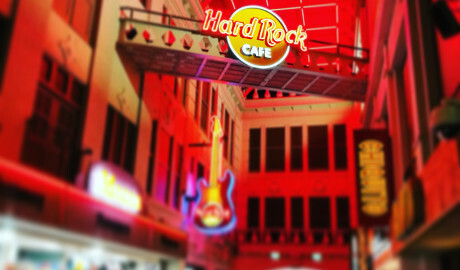 Halloween is creeping up and to celebrate, Hard Rock Cafe has today announced that it will be serving up its most frightening burger ever, for a limited time only. From 26 – 31 October, Hard Rock Cafe Manchester will have a very special Halloween Voodoo Burger on the menu. Try it if you dare! The Halloween Voodoo burger consists of Hard Rock’s signature, mouth-watering ½lb burger patty, terrifyingly tasty pulled pork smothered in melted cheese, a Cajun voodoo spiced slice of grilled pumpkin, all served in a deathly-black charcoal bun. This limited-time-only burger is the ultimate ghoulish treat this Halloween. 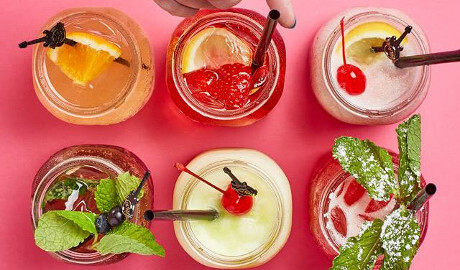 There’s an equally as gruesome cocktail to accompany. The Evil Eye Cocktail complete with an edible bleeding eyeball on top, is made from spiced rum, Bacardi, lime juice, pineapple, Gomme syrup, Angostura, strawberries and blueberries. This Halloween cocktail, and Hard Rock’s limited-edition Halloween burger are perfectly petrifying, partnered especially for this spooky season. 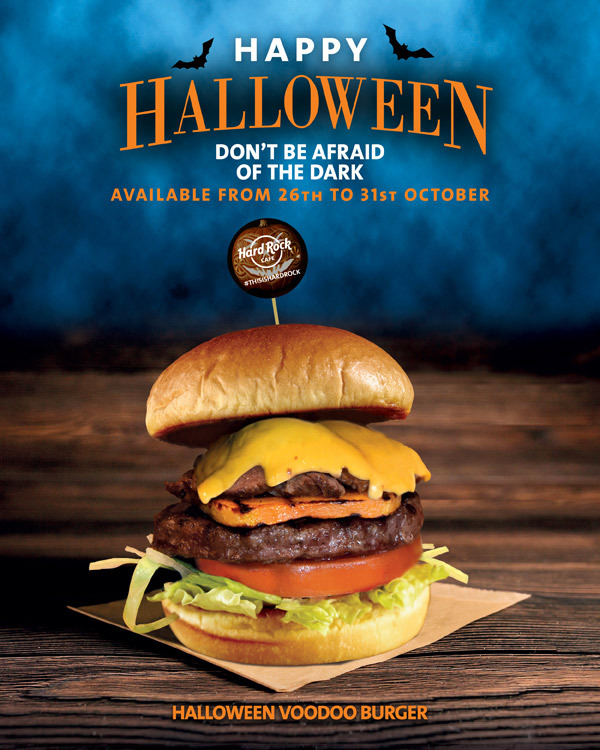 Hard Rock Cafe’s Halloween Voodoo burger is available at Hard Rock Cafe [insert city] from 26 – 31 October, priced at £14.75.